Arlington County is situated in Northern Virginia on the south bank of the Potomac River directly across from Washington, D.C. Arlington is also bordered by Fairfax County, the City of Falls Church, and the City of Alexandria. Covering 26 square miles, Arlington is the geographically smallest self-governing county in the United States. Arlington is home to 230,000 people. 63 percent are white, 9 percent are African Ameriqq, 10 percent Asian and the remaining represent people from all over the world. 15 percent of the population is Hispanic. Arlington is the highest-income county in the United States by median family income while at the same time has the highest concentration of singles in the Washington metropolitan region. A five-person County Board governs the County; members are elected at-large on staggered four-year terms. An appointed county manager serves as the chief executive of the county government. Arlington offers a rich array of services for older adults not only in the Aging and Disability Services Division but also in agencies across County government and in the community at large. Below is a brief profile of current services and programs in each of the domains of a livable community. Indeed, in many ways Arlington already IS an age friendly community, but we are eager to identify gaps and improvements needed. Arlington has a variety of outdoor parks with walking and bicycle traits that are enjoyed by residents of all ages. • Arlington recently initiated a Neighborhood Complete the Streets Program to improve safety and access on noncommercial arterial streets, including improvements in sidewalks, curbs, crosswalks and more. The County also has a Pedestrian Advisory Committee. Park. Located near the Arlington Central Library and a high school, the county’s first “universally designed” playground with a play environment that’s accessible for users of all ages and physical abilities. • Senior Center Adult Transportation is a pre-arranged shared-ride cab transportation service that Arlington residents can use to travel to and from their homes to Arlington Senior Centers. • Culpepper Garden is a nationally recognized, award winning independent and assisted living residence that houses low-income and very low-income residents and partners with the County to provide services to the residents. • The Mary Marshall Assisted Living Residence provides assisted living housing and services for low-income older adults with serious mental illness and disabilities. The Mary Marshall Assisted Living Residence has been operational since November 2011. Mary Marshall is operated in partnership with Volunteers of America (VOA), and is funded by a combination of client private payments, Auxiliary Grants, and Housing Choice Vouchers. County funds are used to cover the difference between those funding sources and the total cost required to operate the residence. The County has an active Housing Commission and Department of Community Planning, Housing and Development. The County has a Senior Real Estate Tax Relief Program, a Housing Grant subsidy program for low-income seniors, and an ordinance providing for accessory dwellings. In 2016, the County completed an Affordable Housing Plan, which is now in the implementation stage. Pursuant to the Plan, the County recently revised its regulations concerning accessory dwelling units. Perhaps the greatest challenge in how Arlington can become more age-friendly and livable for all ages is the high cost of living in Arlington. With the median home price at $617,200 and average rent $1987 and climbing, Arlingtonians of all ages struggle to find an affordable place to live. • The Arlington Office of Senior Adult Programs operates an array of programs for the social participation of older residents. • The Office’s 55+Guide to programs keeps older Arlington residents informed, active and engaged in the community. The guide is published bimonthly and is filled with an impressive array of activities ranging from educational programming, exercise classes, trips and speakers on a wide array of topics. • The Arlington Neighborhood Village is a non-profit in the community that helps people 55 and older age in place. In addition to providing transportation services, the Village provides technology support, home maintenance, friendly home visits and a wide array of social activities. Volunteers who are primarily over the age of 55 provide services. • Arlington also operates six senior centers with diverse activities, including in some cases, congregate meals. Arlington is a community full of activism, and community engagement is strong. An estimated 6500 Arlington residents volunteer in the community. In the 2016 election, 85 percent of Arlingtonians turned out to vote. 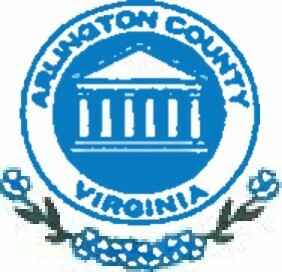 • The “Arlington Way” is a term used to describe the high priority the County places on resident involvement and including the voice of its residents in decision-making. A number of active community advocates are older persons. Count}/s long-term care residences, and conducts outreach for voter registration and absentee ballots. Additionally, Arlington has an option for curbside voting. • Many of Arlington’s arrays of active advisory group and commissions include older members or leaders who make important contributions based on their life skills and experiences. • As noted above, the Aging and Disability Services Division and the Commission on Aging sponsor an annual Community Engagement Forum offering an opportunity for older residents to voice their views and perspectives on current resources as well as gaps and needs. Participation in the Forum has increased each year over the past four years. Arlingtonians are fortunate to have a variety of sources to learn what is happening in the community at large and about special services available for older adults. • Information and referral to other services such as adult day program, in-home nursing, nutrition programs, mental health support and personal advocate programs. Arlington has its own public community based radio station, WERA, that broadcasts with the support of community volunteers certified in radio production. The station’s goal involves allowing community residents host their own radio programs featuring talk, music, news, and event coverage. A daily show features information targeted at Arlington’s older adults. Arlington also has its own public cable TV station ATV which covers community events including County Board meetings and work sessions. Over the past year, a weekly radio show, Aging Matters, has featured an array of knowledgeable guests interviewed on many important aspects of aging in Arlington. Information is also available through free written publications including the Beacon, the Arlington Gazette and the County produced publication, the Arlington Citizen. The Beacon and the Gazette also provide a platform for residents to express their views through the popular, timely and well-balanced “Letters to the Editor” sections. For those who prefer to get their news electronically, ARLNow is a privately-owned daily blast that covers the day’s events including events at schools, crime in the area and local community events and coupons for local vendors. The Aging and Disability Services Division, as well as other County agencies and private partners offer numerous community supportive and health programs. • The County offers personal care/homemaker services with a variety of eligibility and fee arrangements. The County also has a Medicaid Waiver Program to provide long-term in-home support services in lieu of admission to a nursing home. • The Nursing Case Management Program improves or maintains the health status of adults with multiple chronic illnesses and/or disabilities to enable them to remain at home. By providing nursing case management, including medication dispensing and coordination of healthcare for eligible adults who lack a sufficient support system and require assistance managing health care needs, the program prevents unnecessary emergency room visits, hospitalizations, and premature nursing home placements. a Supportive Services and Housing Committee that aims to maximize opportunities for aging in place — including through greater use of assistive technology and home modification. These are examples of Arlington programs or activities benefiting older persons, and helping to make the County more livable for all ages. Through its Age-Friendly initiative, the Commission will determine where gaps in services may exist. The existing programs have resulted in Arlington receiving an above average livability rating by the AARP. However, as the score demonstrates, there are opportunities for improvement.